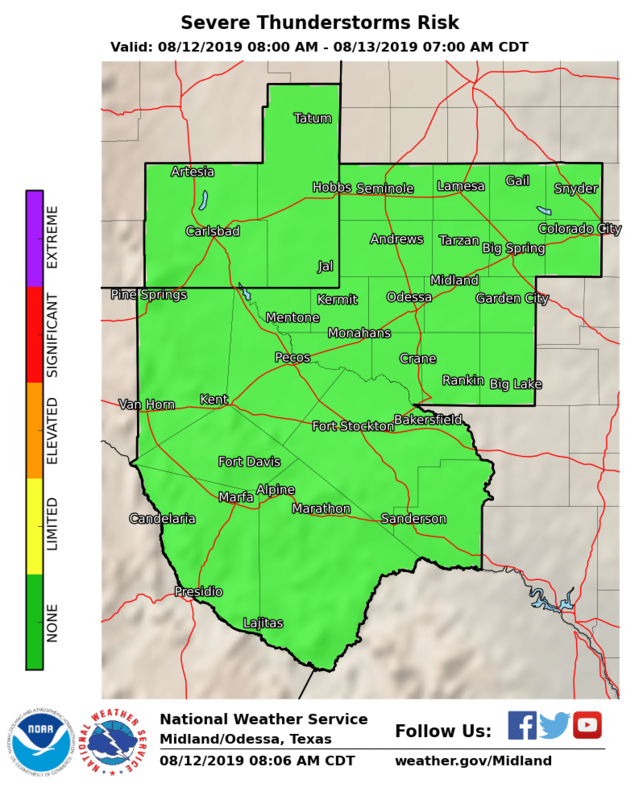 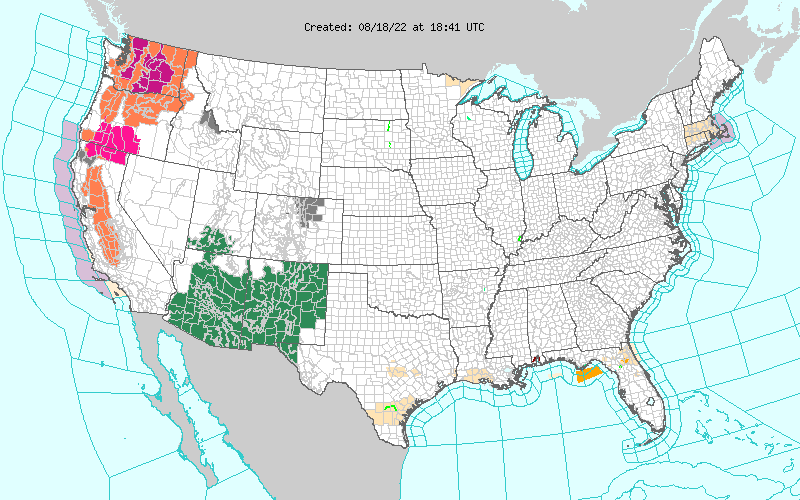 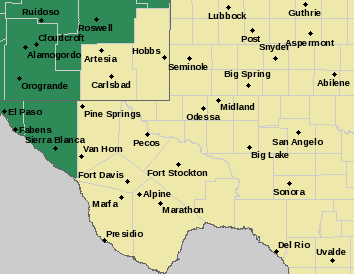 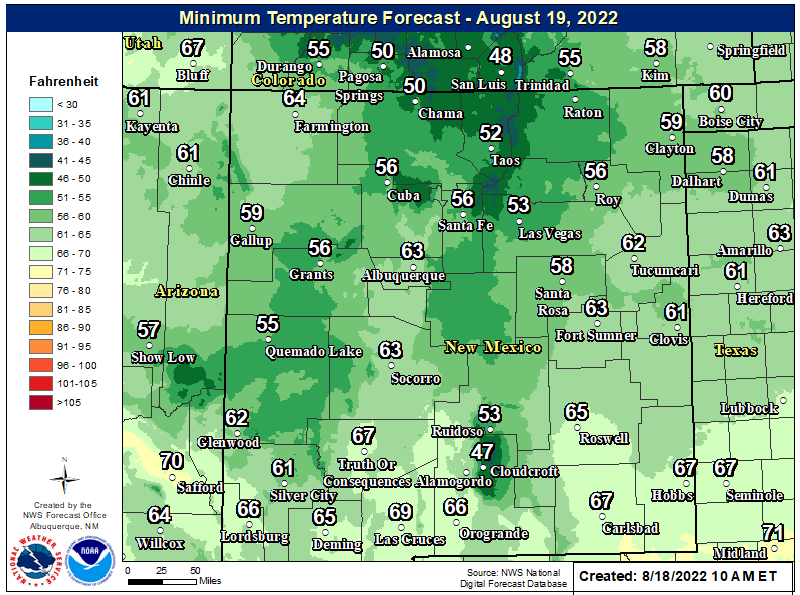 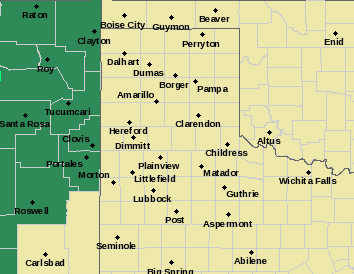 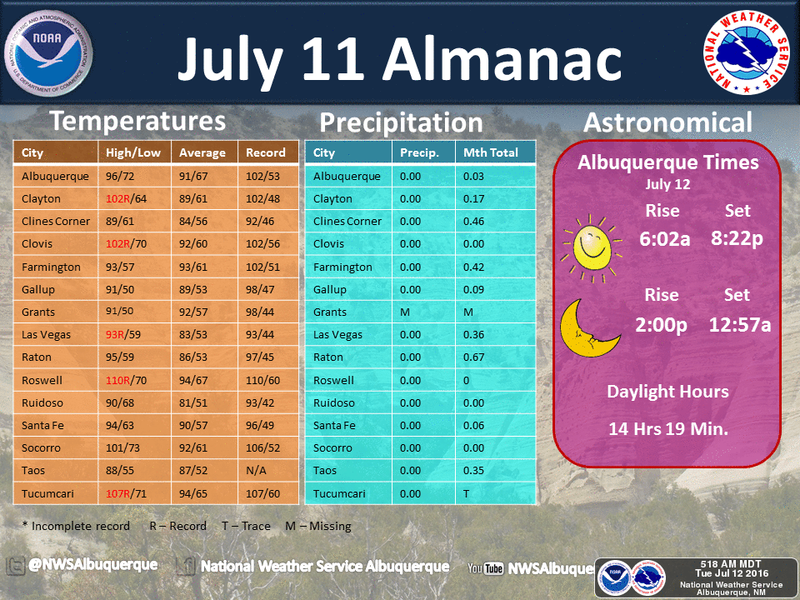 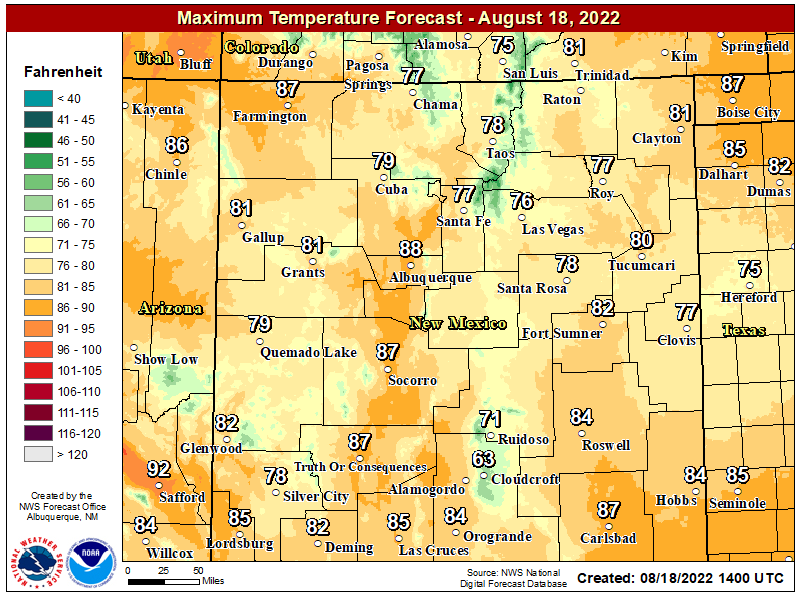 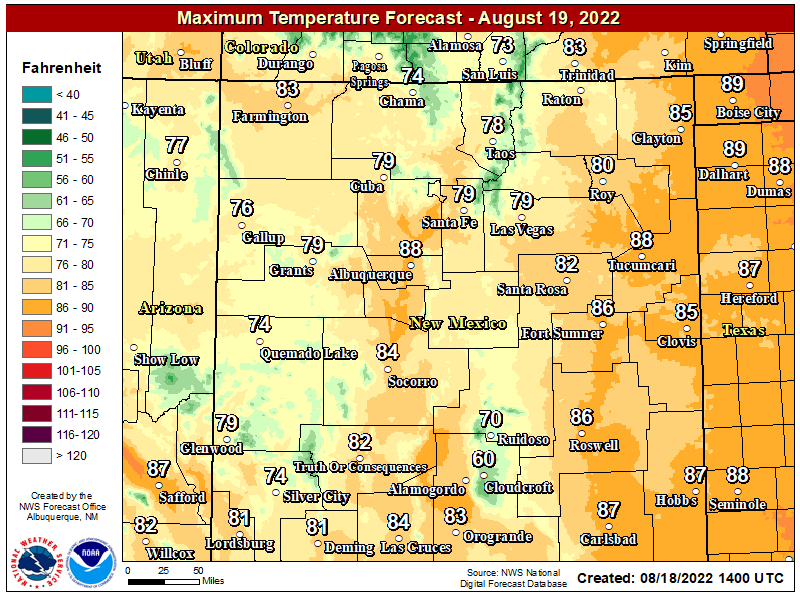 Three Days Of 110ºF Heat In SE NM? 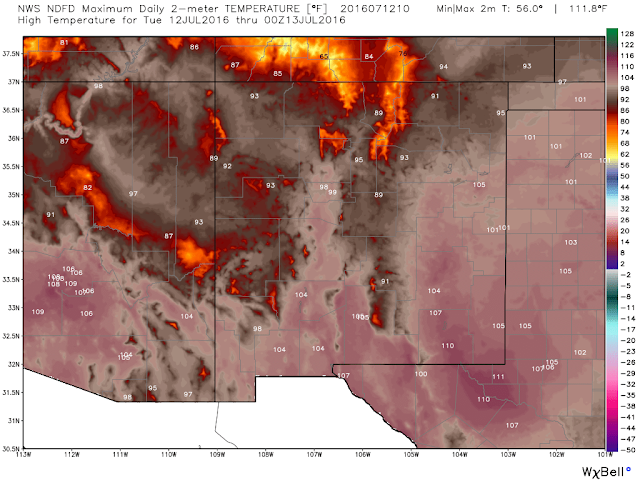 Blog Updated @ 5:28 PM MDT. 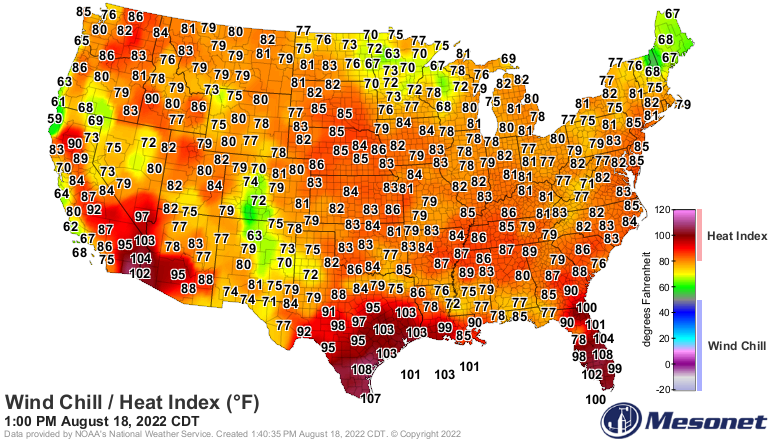 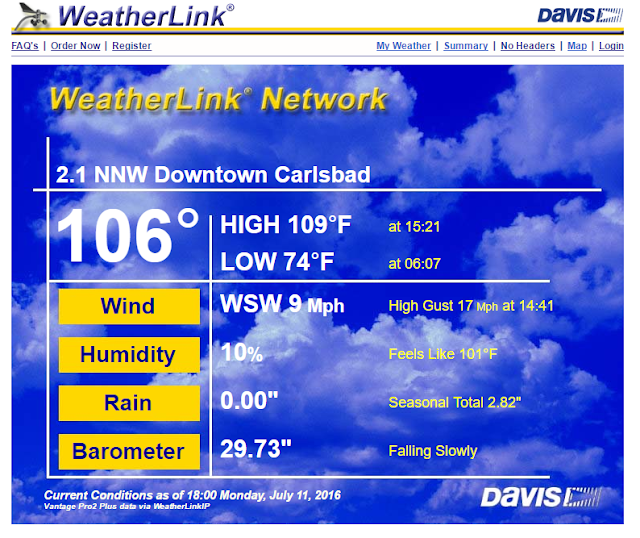 109ºF AT Our Home In Carlsbad, NM Monday. 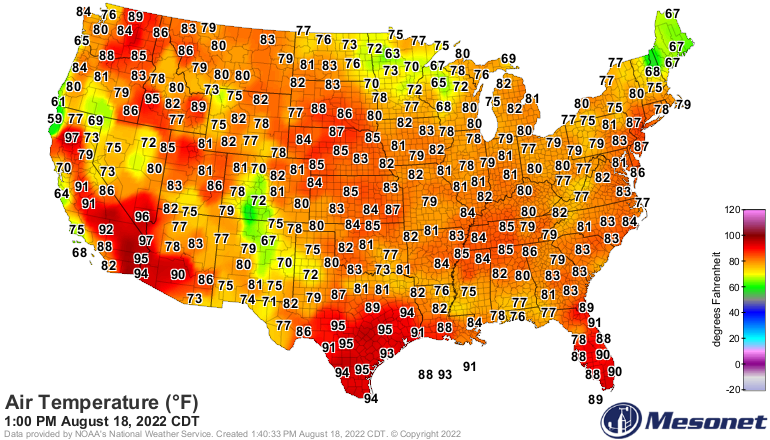 NWS Forecast High Temps This Afternoon. 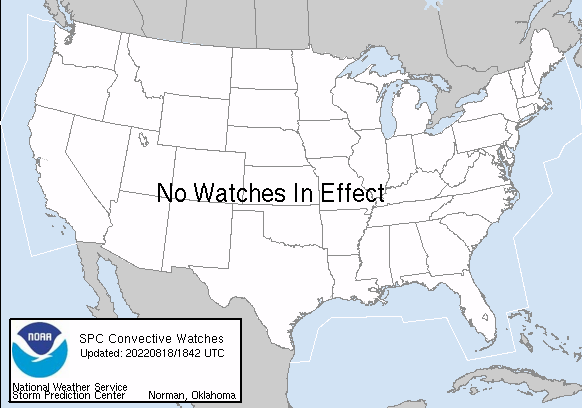 110ºF Yesterday - Today - Wednesday? 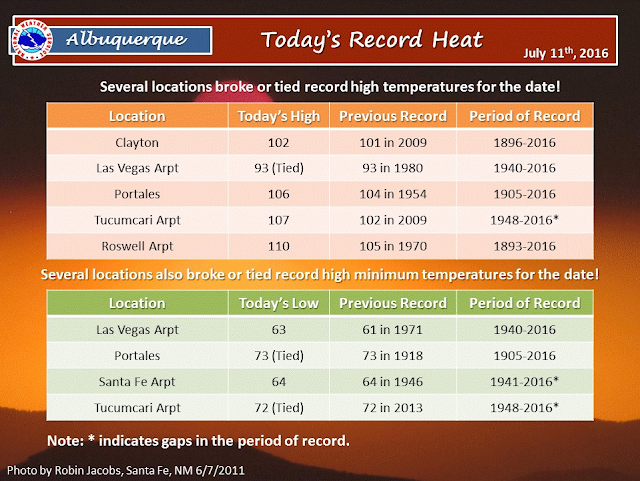 Record High Temps Broken Monday. 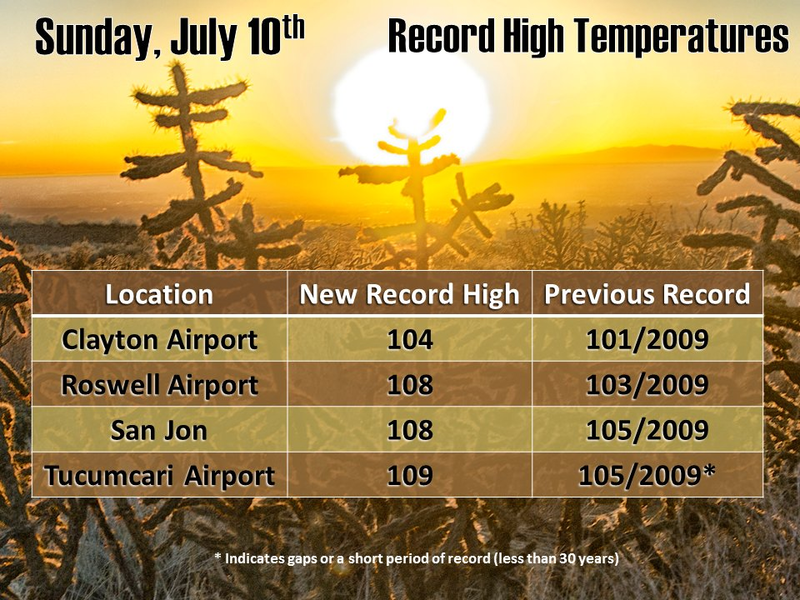 Record High Temps Broken Sunday. 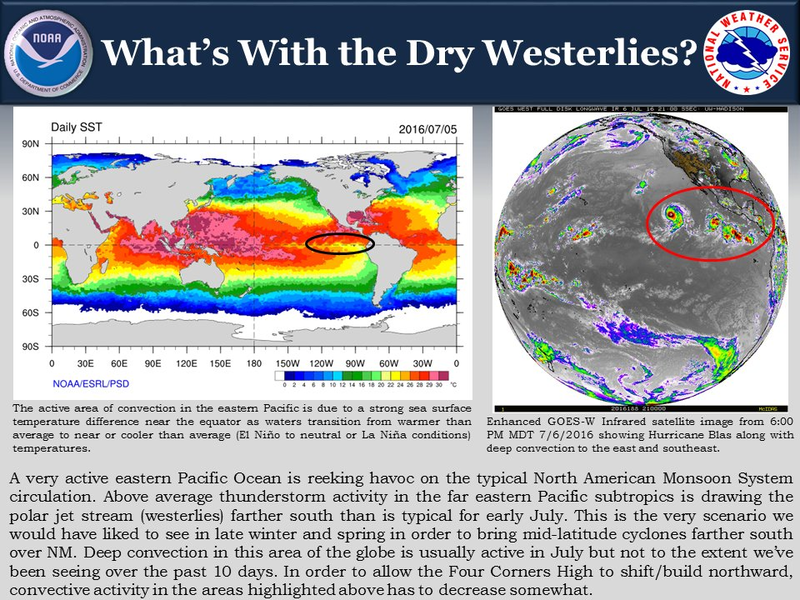 Whats With The Heat & Dry Westerlies? Both the Roswell and Carlsbad Airports recorded high temperatures on Monday of 110ºF. 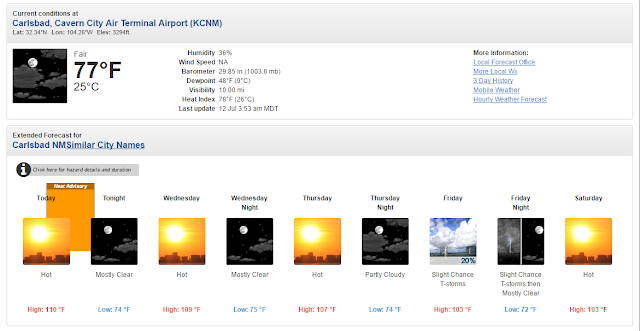 The Artesia Airport checked in with 108ºF.